Did you actually think Puma soccer was going to sit idly by and let the trees beat them in a color-changing contest? How dare you insult the big cat and their ability to challenge the wilderness. With the cooler air taking the place of the face-melting summer temperatures, it seems appropriate that Puma is going to commemorate the change with some new colors for us to sport. 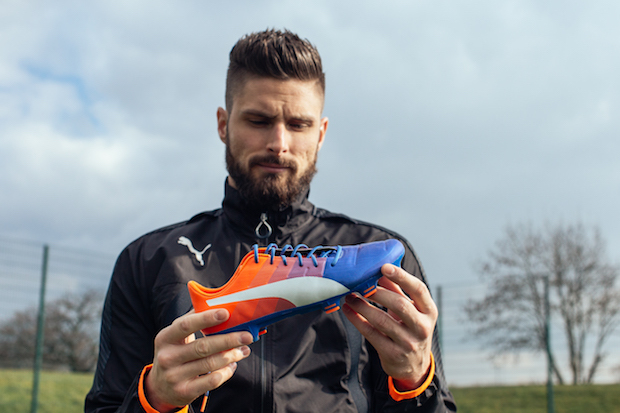 For the evoSpeed range, we see a slight change from the previous colorway. Instead of red/white/black, the boot has shifted to orange/white/black. The boots have also stopped being in a “Tricks” style set-up (both boots utilizing different main colors) for the first time in a few releases, so both boots will have the same look. 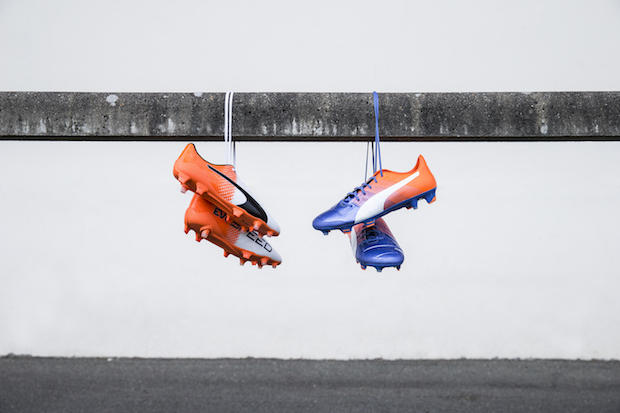 We love the massive “EVOSPEED” callout on one side of the boot, and these boots will leave no doubt as to what brand you’re wearing. 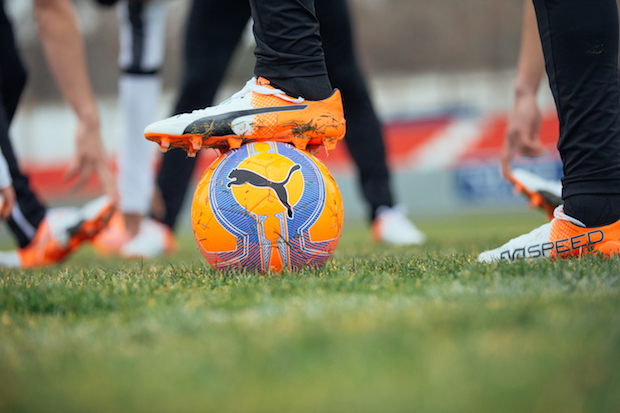 Puma also has a million different versions of the evoSpeed to suit nearly any playing style (here’s the list: SL II, SL-S II, 1.5, 1.5 leather, and SL II leather). 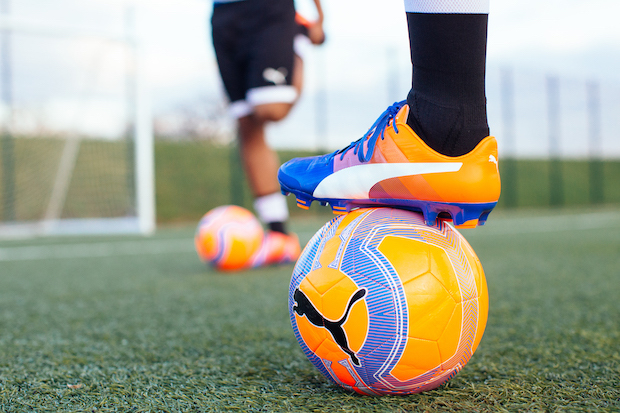 The evoPower has been hinting at a change waiting just on the horizon of 2017, but the evoPOWER 1.3 is still going to be rocking the pitch for another few months. 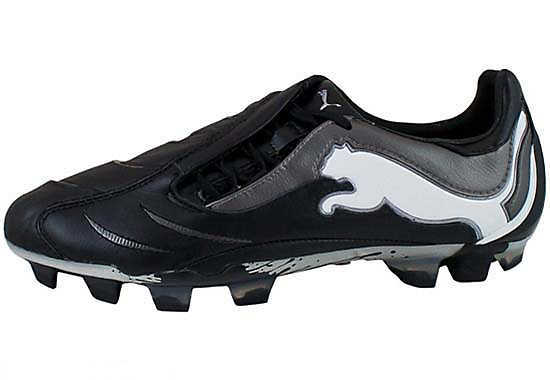 A high quality synthetic that houses one of the world’s few power boots, Puma consistently finds us labeling this boot as either the most underrated or one of the best on the market once we start discussing every release at the end of the year. 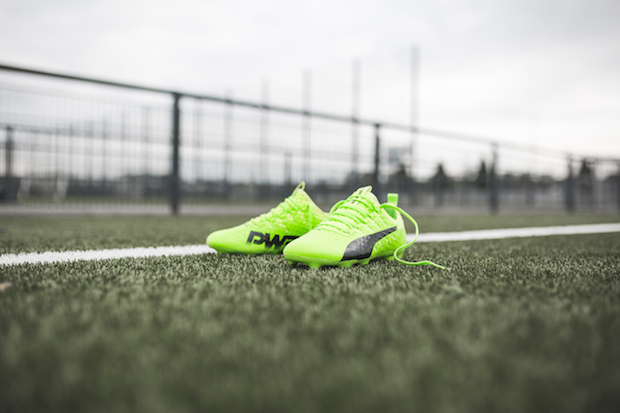 Meant to mirror the natural flex of the foot as you drive through a boot, the evoPower range has been a winner for Puma since it was initially launched. Does it look gorgeous in the blue/orange? Please…it’s a show-stopper. Puma hasn’t given us an update to the evoTouch yet, but we’re sure that it isn’t too far off in the distance. Keep an eye on the pitch to see these beauties out on the pitch over the next few weeks, and find your way into a new pair of boots with the Formstripe TODAY!